It has been on my watch list since New Year’s Day and last week I finally got round to sitting back and appreciating the emotional and unbelievable journey that is UNBROKEN. BAFTA Rising Star of 2015 Jack O’Connell stars as the heroic and legendary Louis Zamperini, a decorated WWII veteran and Olympic athlete who was captured by the Japanese navy and sent to a prisoner-of-war camp, after surviving out at sea for 47 days in two rafts with two fellow crewmen. The unbelievable journey of a great man, who sadly died in 2014, during the production of this film, is so astounding to watch and wrap your head around that it leaves an impact on you in the weeks to follow. To imagine that this man could be so brutally punished day after day, and yet so forgiving in the end to his captors was liberating, and really puts one’s life into perspective. Some will say that because it is such an incredible story, it would not matter how the film was produced, or who it was directed by, because in the end it will still be a fascinating watch. However, I cannot agree. Angelina Jolie brings together a superbly directed film, truly producing a lasting image of WWII Japan, with an extremely dedicated cast who give their all and pay true homage to the brilliance of these prison-camp men, who endured extreme levels of mental and physical torture but found a way to feel liberated in one way or another. Jack O’Connell had quite a year last year with the release of STARRED UP, ’71 and this feature film, and it is obvious why. Somebody who I first came across in the British teen series SKINS from Channel 4, is now a full-blown Hollywood star. I am still yet to see ’71 shamefully, but if his performance in that is anything close to his performance in this brilliant film, I am in for a treat. His dedication to this role was incredible. He put his body through so much to play this role and his display of a legend of a war veteran should be celerbrated. 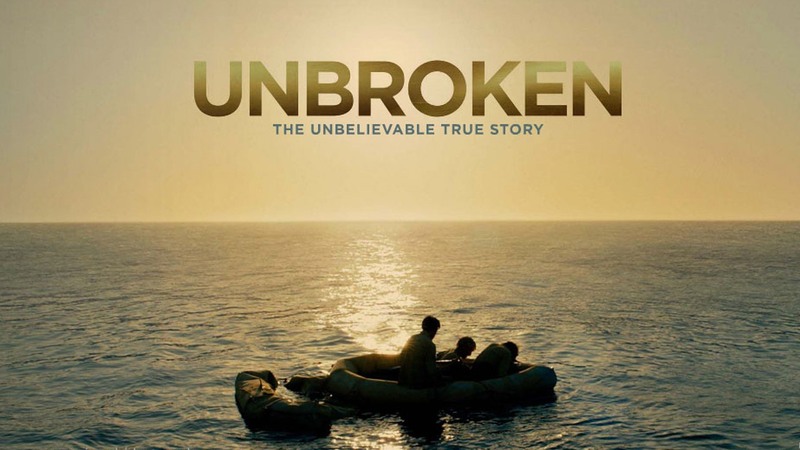 Overall, UNBROKEN was a deep and hard-hitting true story, which will leave you drained afterwards. It hosts an impressive cast and a is a brilliant piece of work from Angelina Jolie. Recommendation: UNRBOKEN is an incredible true story which needs to be watched at some point! Add this to any WWII collection you may have, or if you’re a fan of the rising star that is Jack O’Connell, then it is definitely worth a purchase.